As a scientist, I cheered last month when you pulled “Vaxxed: From Cover-Up to Catastrophe” from the Tribeca Film Festival. You made a wise decision that landed on the side of science — not something that happens every day. Then, this week, I heard your subsequent interview on the "Today" show. In preparing to write this piece, I watched the interview multiple times. And, it is clear that the difference between you and “anti-vaccinators” is that you are ready and willing to learn the truth. The sincerity is in your eyes, and I don’t think that you are acting this time. So, my question as a scientist, educator and writer, with the goal of bringing science to the public is: How can we teach you the truth? The science is clear and unwavering. The scientific and medical communities are both convinced. Vaccines do not cause autism. This whole mess, which is somehow still being discussed, arises from one paper that made a false claim 18 years ago. Since that time, it has been retracted — for scientists, a retraction means that the work is inherently flawed and should never have been published — and exposed as not just flawed, but intentionally made up. Additionally, there have been many scientifically rigorous studies since then that all conclude the same thing — that vaccines and autism have no connection. You said on "Today" that you are not a scientist. I am a scientist (a Ph.D. in microbiology) and although I would never think to tell you about acting or film-making, I can tell you about science. Of course, that is not good enough. I would need to show you the data and explain it in order for you to fully understand. I am left flummoxed. How can scientists, who are busy designing experiments and writing grants, reach people like you, who want to know the truth? 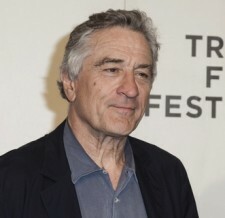 While the responsibility lies with us— the scientific community — to get the information out there, it also lies with you, Mr. De Niro, to seek it out and listen to it. You said in your interview that you will explore the backlash that happened when you originally announced that the movie would be included in the film festival, and that you want to have a role in the conversation. If you are going to be part of that conversation, I implore you to hear "both sides." If you have watched “Vaxxed" (produced by Andrew Wakefield, co-written by Andrew Wakefield, and starring Andrew Wakefield) you gave Andrew Wakefield 90 minutes of your time to make his point. And, although he is a complete failure as a physician, a scientist and an ethical person, he is a mastermind at making his own corrupt actions sound convincing. I am asking you today, then, to give the scientific community 90 minutes. What we won't bring are anecdotal, and emotional, stories from parents or heart tugging videos of children with developmental challenges (both made even more convincing when embellished with the right music and the right lighting). What we will bring to the table are peer reviewed scientific articles full of robust data that are clear, and were collected using the scientific method. If you give us the chance, we'll teach you why cutting this film from your festival is a decision that you can feel proud of and why you have the full support of the scientific, medical and public health communities behind you.